We write less often than we once did. Therefore, when we do, our chosen instrument becomes that much more important. Pilot's Precise line has been uniquely engineered to deliver an exceptionally smooth, precise writing experience designed for those who delight in the details. 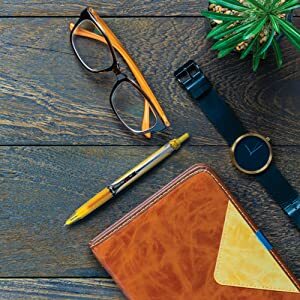 For this reason, many top executives who pride themselves in being tirelessly detail-oriented trust the Precise V5 and V7 pens with everything from jotting down notes in a crucial meeting to signing on the dotted line. 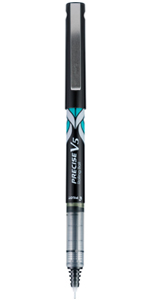 There is a fine line between good and great and that line is drawn with Pilot Precise. Always be on point with the Precise premium rolling ball pen. 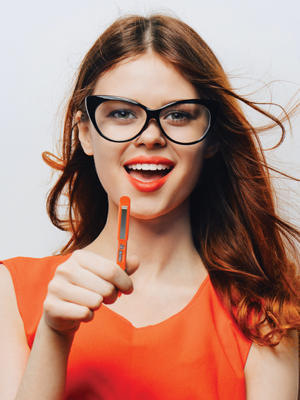 Unparalleled Precision for an ultra-smooth, handwriting enhancing, precision writing experience. 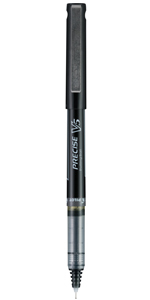 Precise combines Pilot’s exceptionally smooth-writing ink, premium metal clip and iconic look for your writing pleasure. 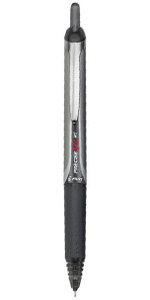 Precise pens are ideal for those who delight in the details. 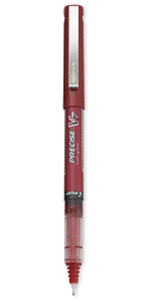 For those who delight in the details, Pilot’s Precise V5 rolling ball pens feature an extra fine tip, modern design, and incredibly smooth ink. Now both capped and retractable are available in 12 gorgeous ink colors. The Precise Deco Collection pens bring the rich colors, bold shapes and exuberant style of the Art Deco era to the exceptionally smooth, comfortable Precise writing experience. With a range of new colors, the newest members of the Precise family will help your ideas take flight as never before. 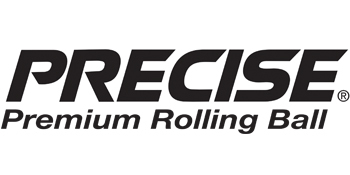 Whether you are taking notes, writing a list, or completely re-designing your home or workspace, precision is key! With your Precise Pen in hand and the right detail oriented approach, you can creatively conquer any project. I've been using this brand and model of pen for probably 20+ years. 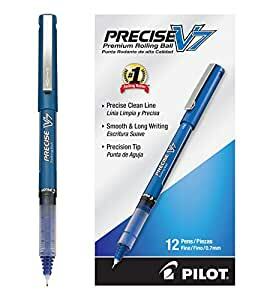 I've come to swear by the Pilot Precise. 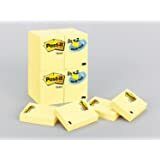 But after buying my most recent box and reading some of the other complaints in reviews posted here, I'm beginning to wonder if I need to start searching for a more reliable replacement. The vast majority of the pens in my box will write smoothly at first, then for no reason whatsoever the ink flow will become lighter and lighter until I'm practically scratching onto the paper. It's akin to what would happen when the pens would run out of ink... only they're nowhere close to being out of ink. Obviously, this is very frustrating, as you can't predict when it's going to happen. The result is not only an interruption of workflow, but also oftentimes illegibility of that work. Most of the other pens I have tried in the past have either had too heavy of an ink flow or perform like a Bic, which is to say good enough for jotting down a note or two but not something I'd want to write with for any period of time. 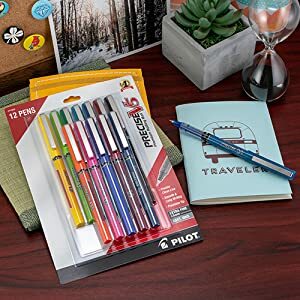 The Pilot Precise have been a must for me over the years, which is probably the only reason I'm still giving this product a 3-star review, but quality control seems to have taken a serious nosedive. I don't remember the first time I used a Pilot rolling ball pen, but I do remember the feeling that I would never use another pen for the rest of my life. So that was over 20 years ago, and here I am, still writing with this excellent instrument. Nothing writes with such effortlessness, no other ink becomes one with the page like a Pilot rollerball. I am so loathe to use any other pen, I keep two with me at all times for signing forms, credit card receipts, and what have you. Black is my workhorse, but I enjoy the variety of available colors for organizing my desk calendar and personal correspondence. 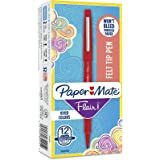 I use very fine for taking notes quickly, with sometimes limited space, and fine for writing letters or notes in a more expansive hand. My only criticism would be that it's not available in a black-brown or dark brown color, which would be so lovely when black seems impersonal and other colors too informal. 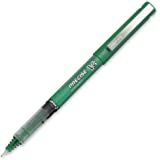 5.0 out of 5 starsThis pen has become my favorite journaling pen! After trying this pen I can see why there are so many positive reviews. Pilot pens have quickly become my favorite to write with in my daily journal. This pen is very comfortable to write with and causes less strain on my hand compared to the many other pens I own. I love how the ink just glides along the paper without any skipping or bleeding. The ink dries very quickly not to mention I have not had any accidents with smudging. Along the side of the pen there is a vial that shows just how much ink there is left which is always nice to know. Using one pen I was able to write over 60 pages in my journal before the ink was gone which is better than other rolling ball pens I own. My overall experience with this pen has been great! It has allowed me to write longer before getting a cramp in my hand. My journal looks so pretty with the rich blue ink and I have not had to worry about the ink showing through to the next page. Will continue to purchase these pens and also try out the black ink next. Would recommend this pen hands down! 5.0 out of 5 starsWish I bought the retractable version, but these are still perfect. I love Pilot V7's. They are the only pens I will buy. They always write, never dry, take a long time to empty, and provide full lines of consistent thickness and rich color. The only thing these pens don't do is improve your hand-writing, which is apparent from the photo. My only gripe is that I didn't buy the retractable version instead, which meant I had to shell out more later when I decided that taking the cap off and on was just too much work. NOTE: The shade of blue shown in the photo is brighter than it really is. The actual color is darker, perfect for legal documents.